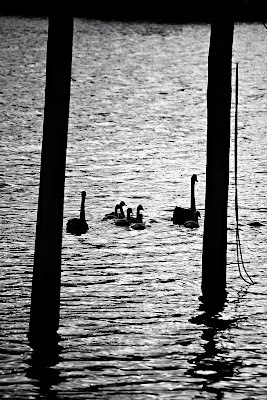 I've been following this family of swans since mid-December, when I found them finding weed for the cygnets in the shallows near the Wooden Boat School at Franklin. 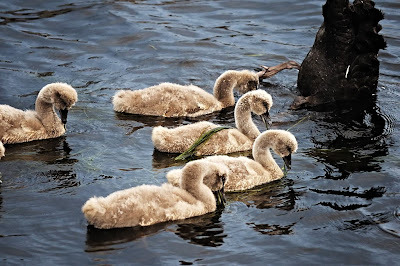 They have six cygnets, which seemed like a large family to me. 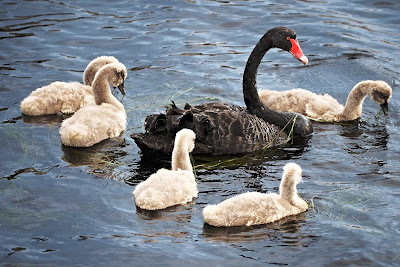 Having watched duck families whittled down by predators and roads, I wondered how many of these would survive. 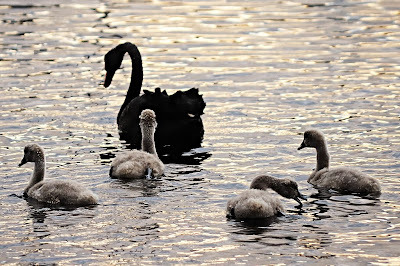 However, they were much larger than a duckling, nearly as big as the biggest ducks nearby. 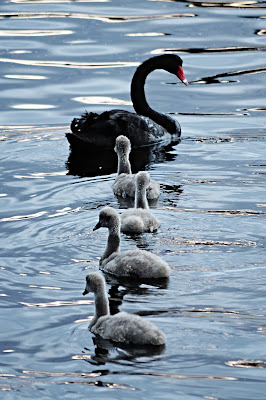 Could they all grow to be graceful swans like their parents? I take it that 5 were whittled down to 4. 80% survival is not bad.